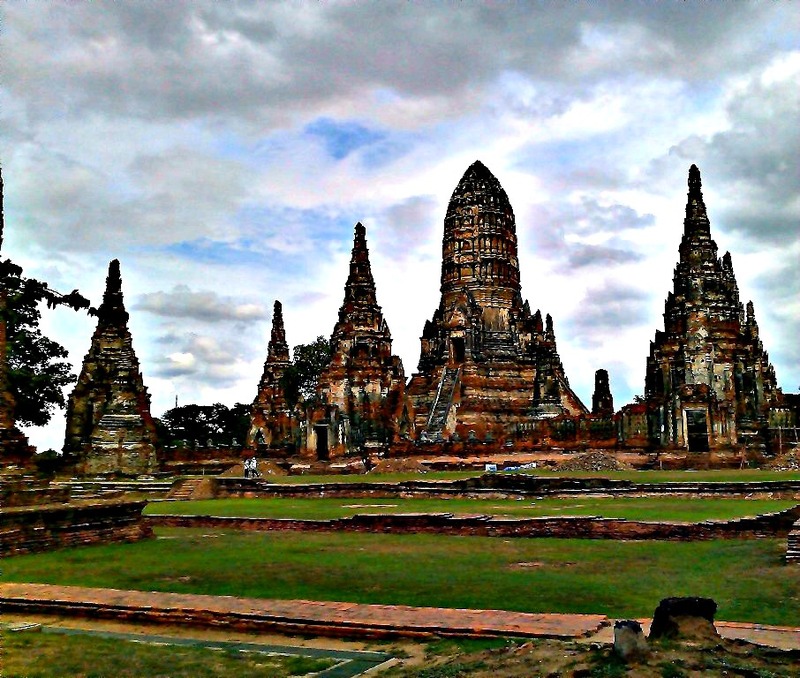 You should not miss going to Ayutthaya if you are in Thailand. It’s very accessible, an hour-plus van hire ride from the Victory Monument in Bangkok. 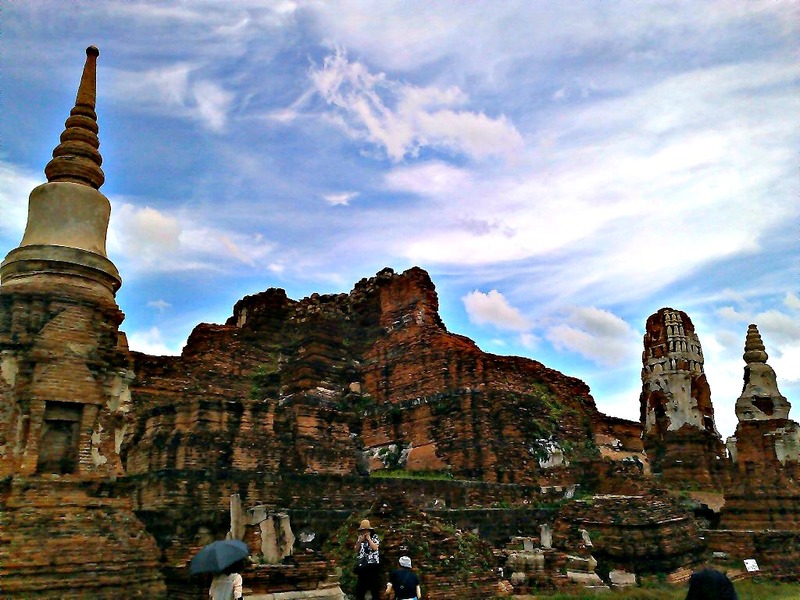 This old kingdom had been the Thai capital for 417 years and is now one of the country’s major tourist attractions. 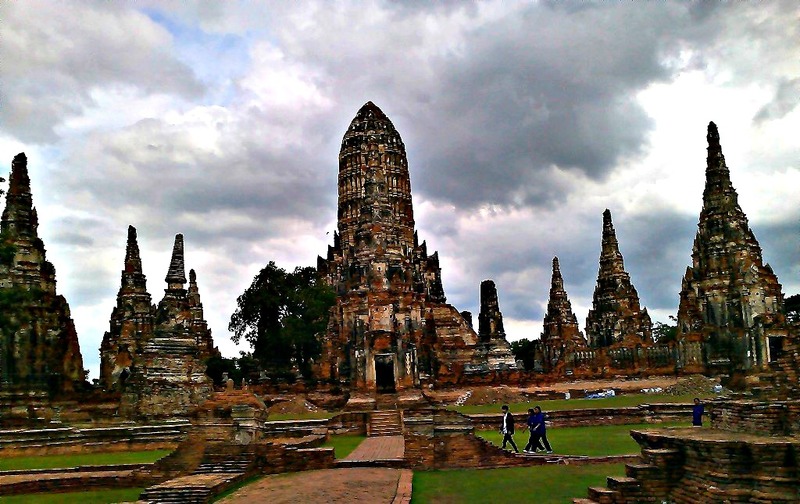 Its magnificent ruins indicate that Ayutthaya was one of Indo-China’s most prosperous cities. Let’s look at some of the ruins (and tourist spots) that made the city’s historical park earned a spot in the UNESCO World Heritage list since December 13, 1991. 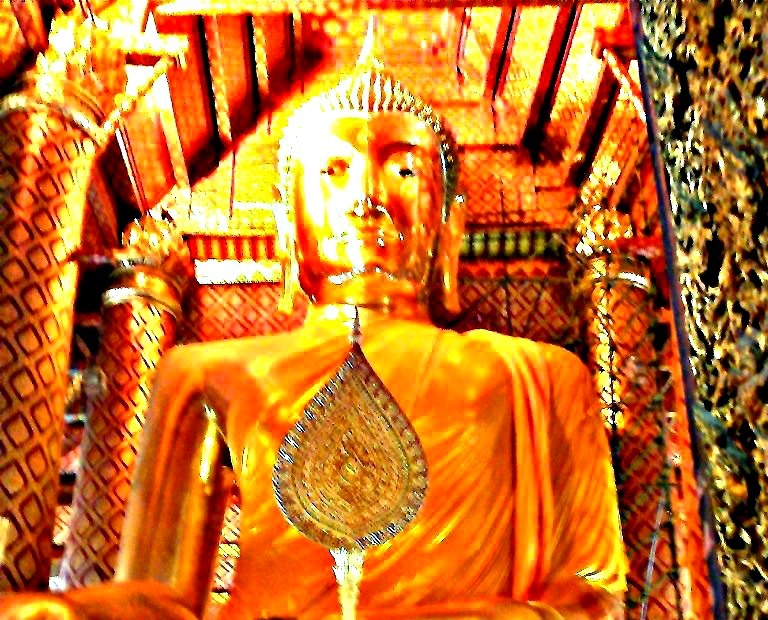 1) The monastery Wat Phanan Choeng, that houses the image of Big Buddha, the most revered by the inhabitants of Ayutthaya. 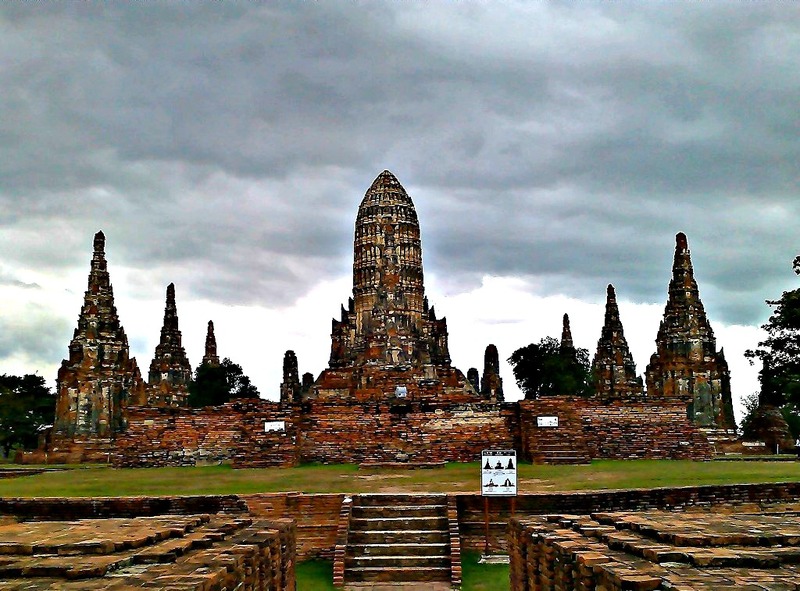 2) The Wat Yai Chai Mongkol, a magnificent ancient royal monastery conveying a sense of the power of the Ayutthaya kingdom which once expanded in all directions. On each side of the temple and front are elegant rows of sitting Buddhas. 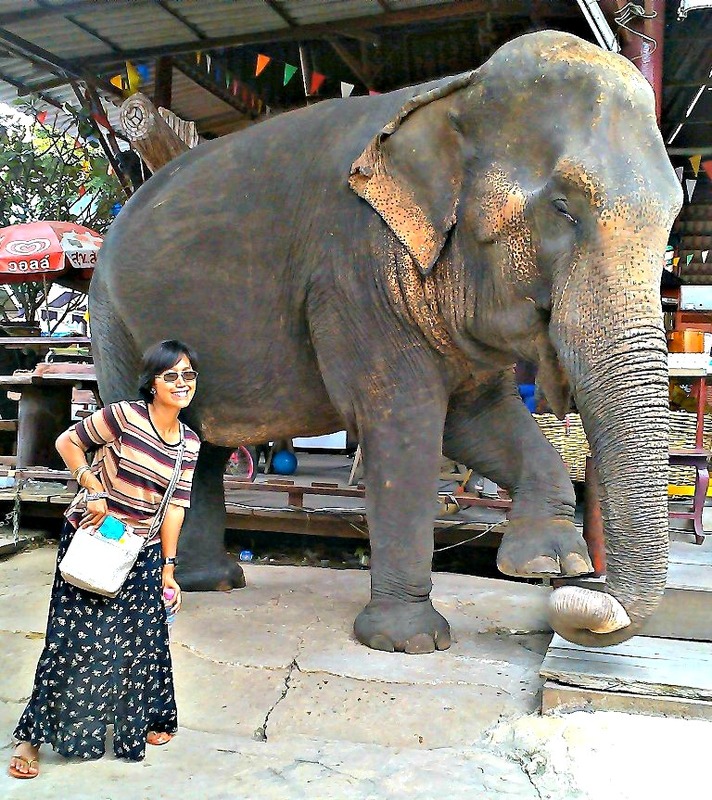 3) The Ayutthaya Elephant Village. 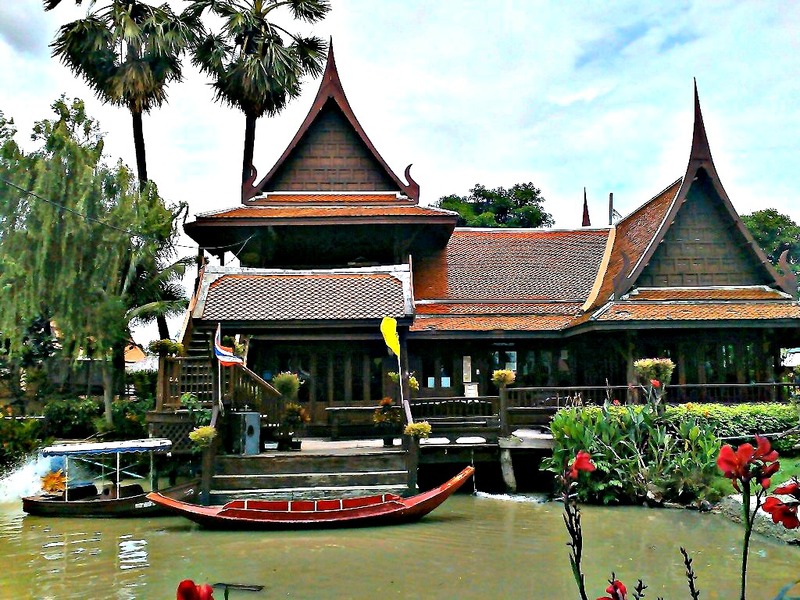 One can also see a replica of a Thai house. 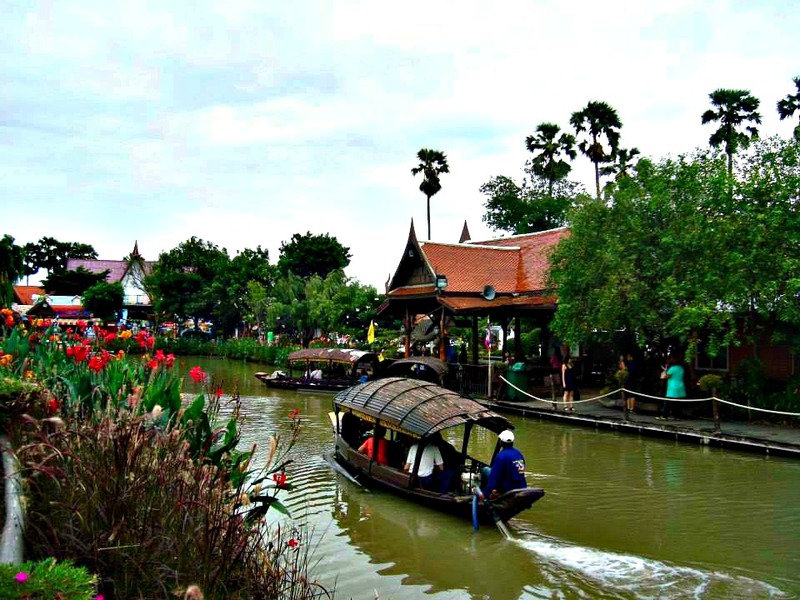 There is a small floating market too. 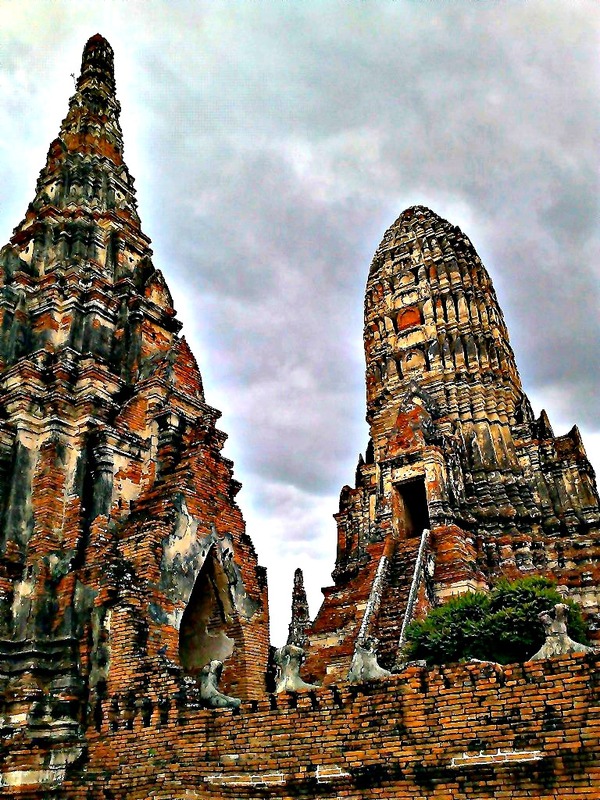 4) The Wat Maha That, the most sacred royal temple in Ayutthaya during the glorious time. It is renowned for the remains of the sandstone Buddha image of which the head lies beneath a Bodhi tree while the body has disappeared. 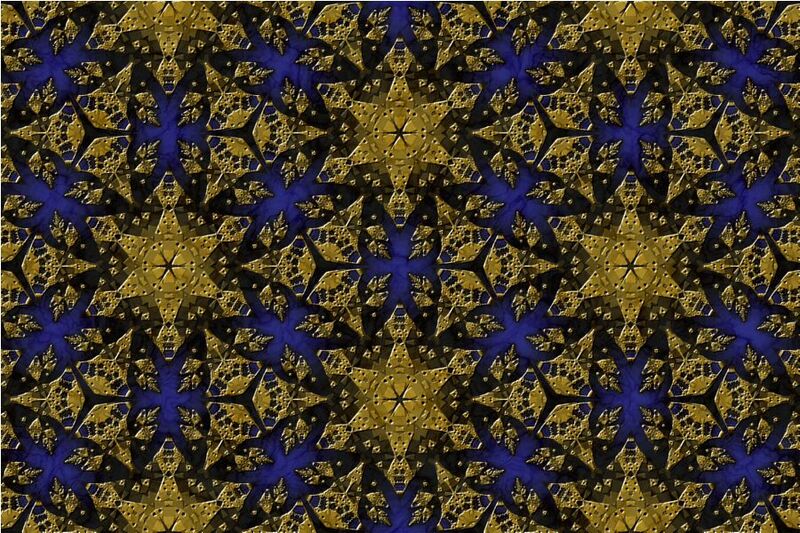 One of the magnificent prangs. 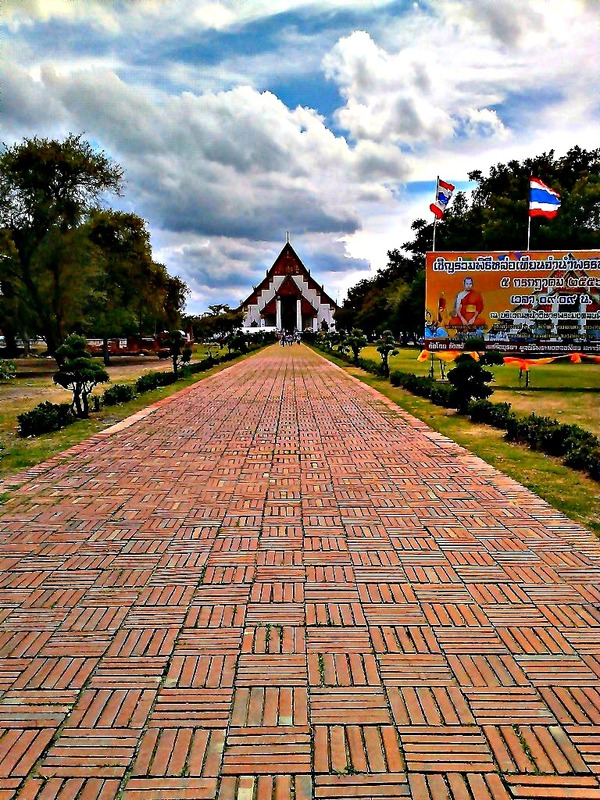 5) The Thanon Si Sanphet, the path leading to Wat Phra Si Sanphet, the most outstanding monastery located in the grand palace compound. 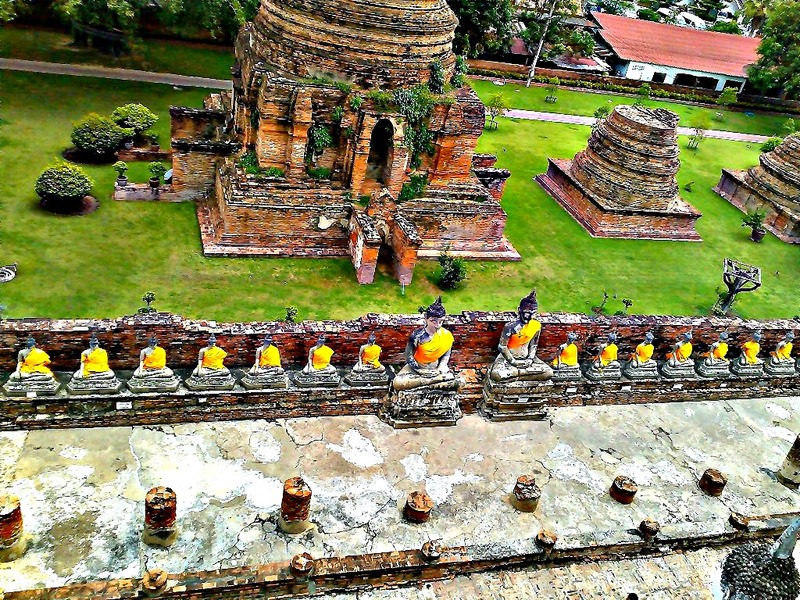 6) The Wat Phra Si Sanphet, with its bell-shaped chedis. 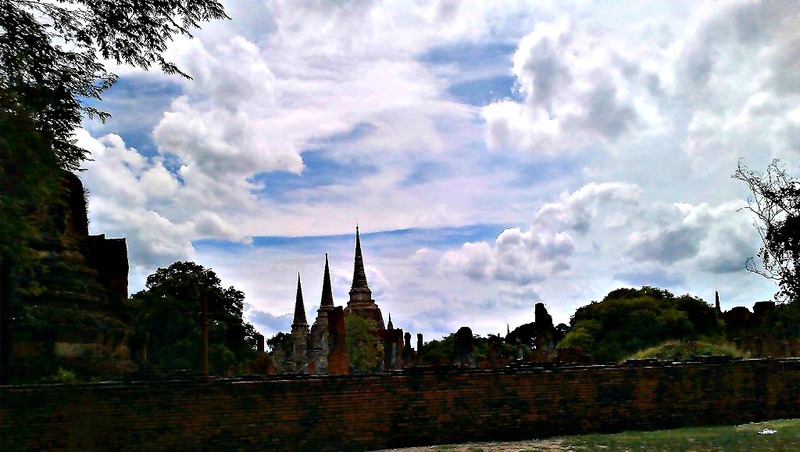 The three large chedis contained the ashes of different kings. 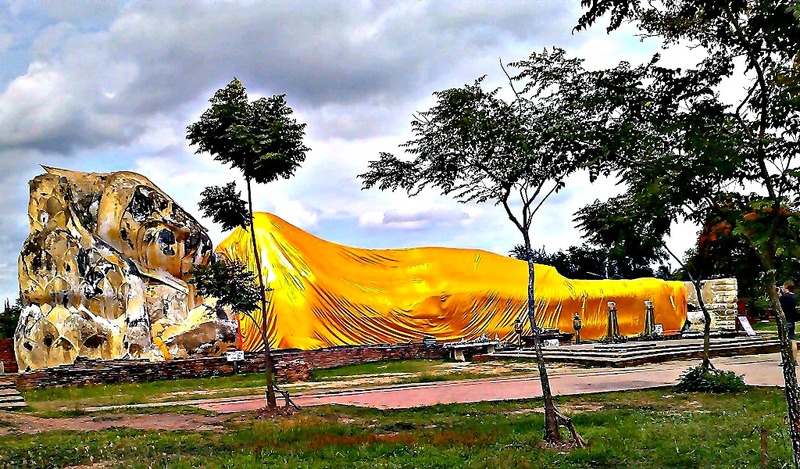 7) The Wat Lokayasutharam, the site of the large reclining Buddha made of brick and covered with plaster. 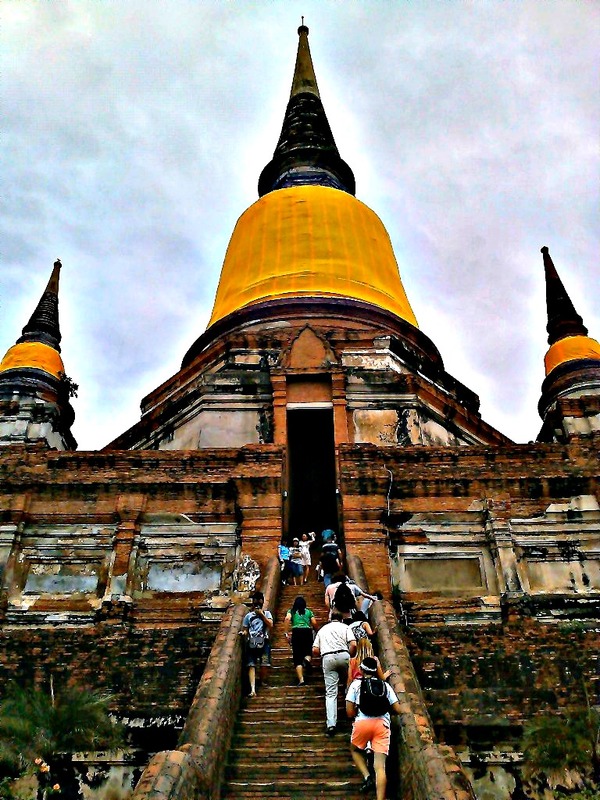 8) And the finale, which for me is the most gorgeous (I’m out of fitting adjectives), the Wat Chaiwatthanaram. Its great beauty has been reflected from the main stupa and its satellite stupas along the gallery. Its architecture was influenced by Khmer.